The program you can download soon . Levon Vanyan : “The Origin of Thunderstorm Ground Enhancements (TGEs): Energy Spectra Analysis”. Tigran Karapetyan : " The significant enhancement of cosmic ray fluxes in our galaxy due to the enormous weakening of solar activity since 2006"
The goal of the TEA-IS Summer School is to provide information to scientists interested in studies to better understand the role of thunderstorms in the atmosphere-ionosphere-magnetosphere system. The school includes both lectures and hands-on exercises (using on going observations and satellite data processing). The school will encourage discussions between students and senior scientists and scientific collaborations between different research groups. Hripsine Mkrtchyan : ''The lightning detection networks operated in Armenia and their relation to Thunderstorm ground enhancements (TGE)"
The goal of the conferens: The research on high-energy phenomena in thunderclouds is entering an intensive development stage. New satellite and balloon missions are being prepared exclusively for the detection of optical, radio, and gamma ray emissions from thunderclouds. New research groups from several countries worldwide are installing surface-based particle detectors for TGE detection. New models aimed to explain TGF and TGE events are currently being developed and tested. A vast amount of experimental evidence on TGE and TGF is available for tuning the models and for consistency checks on individual observations. The spatial and energetic characteristics of extensive cloud showers and the measured energy spectra of the TGE gamma rays and electrons may be used for checking characteristics of the particle fluxes obtained by the TGF simulations. 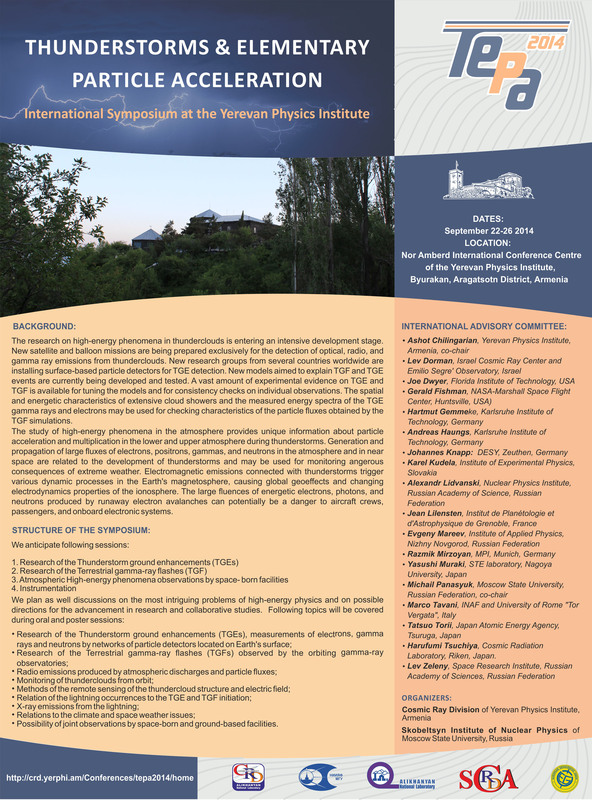 From November 17 to 21, 2014 the Section of Nuclear Physics of the Physical Sciences Division of the Russian Academy of Sciences and the National Research Nuclear University MEPhI organize in MEPhI the International Conference-Session of the Section of Nuclear Physics of the Physical Sciences Division of RAS "Physics of Fundamental Interactions". 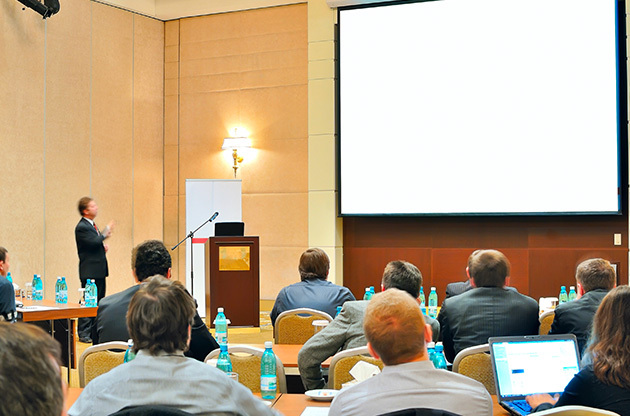 Ashot Chilingarian, Bagrat Mailyan "Exploring High-Energy Phenomena in Earth's Atmosphere"